The flurry of school holidays activities continues into the second week, and kids and parents alike are wandering around looking a tad frayed. If you’re at loose ends without a plan this week, Monkey Baa Theatre Company in Sydney’s Darling Quarter is putting on a wonderful performance of The Secret Life of Suitcases, and we checked it out on Monday. 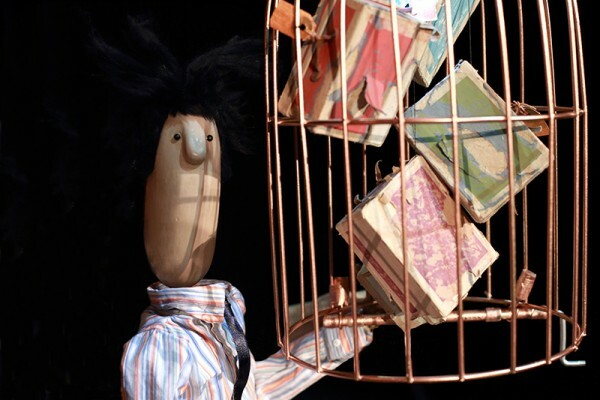 Presented in collaboration with the UK’s Unicorn Theatre, The Secret Life of Suitcases follows puppet Larry as he works alone in his little office, refusing offers of coffee with colleagues and remarking how busy he is, until a mysterious suitcase arrives. The suitcase takes Larry on an adventure through time and space where he meets the Quarks, little fluffball creatures who dole out twinkles to stars who have lost theirs, and joy to people who have lost their way. They are the self-professed ‘quantum mechanics’, and they are tasked with keeping order and balance in the universe. 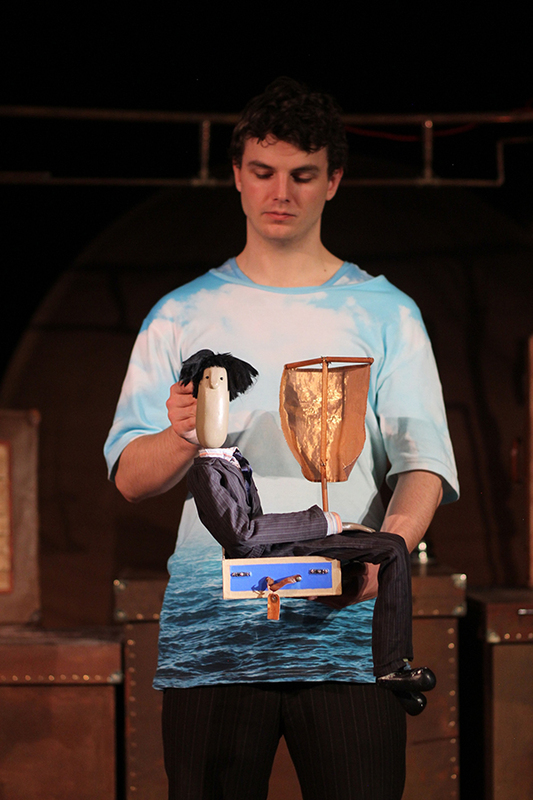 Written by playwright Lewis Hetherington and puppeteer Ailie Cohen, the play is brought to life by Ailie and co-performer Samuel Watson who trade off as puppet masters to Larry and the Quarks. The set design is ingenious: hanging tungsten lightbulbs turn from regular lights to distant stars, suitcases are flipped over to reveal doors to other places, the performers’ changing shirts are the backdrop for scenes on a deserted island, bobbing along on the open ocean or blasting through the universe. For kids The Secret Life of Suitcases is pure entertainment with beautiful set design, wonderful music and funny characters. For parents it’s a meditation on our lives that are so full with work and responsibility that we’re in danger of missing out on the simple things. The last day for The Secret Life of Suitcases is this Friday, 2 October. You can buy tickets at Monkey Baa online.